Matteo Mars worked at some of Italy's major fashion houses before launching his own line last year. 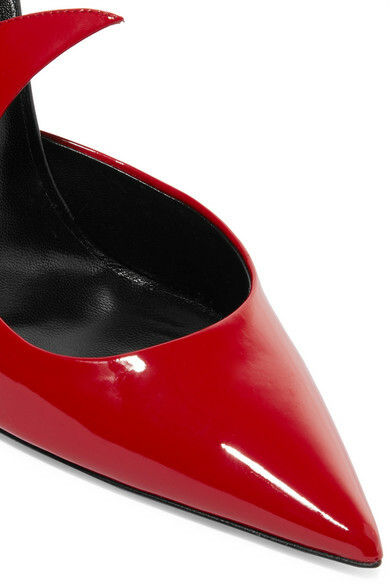 Inspired by architecture, these 'Naked Ala' pumps have been made in Florence from red and black patent-leather. 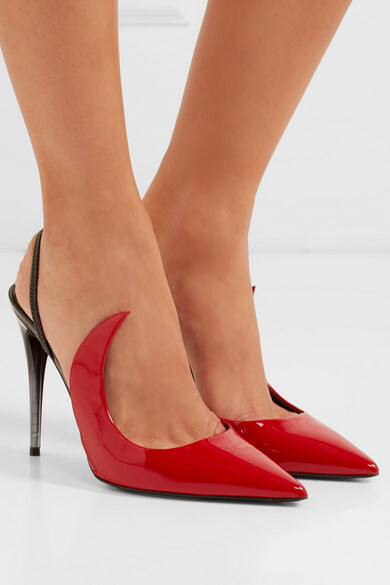 They're designed with elasticated slingback straps and striking degradé heels. Try yours with tights when temperatures drop. Shown here with: Alexandre Vauthier Top, Alexander Wang Blazer, Alessandra Rich Skirt, Givenchy Pouch.